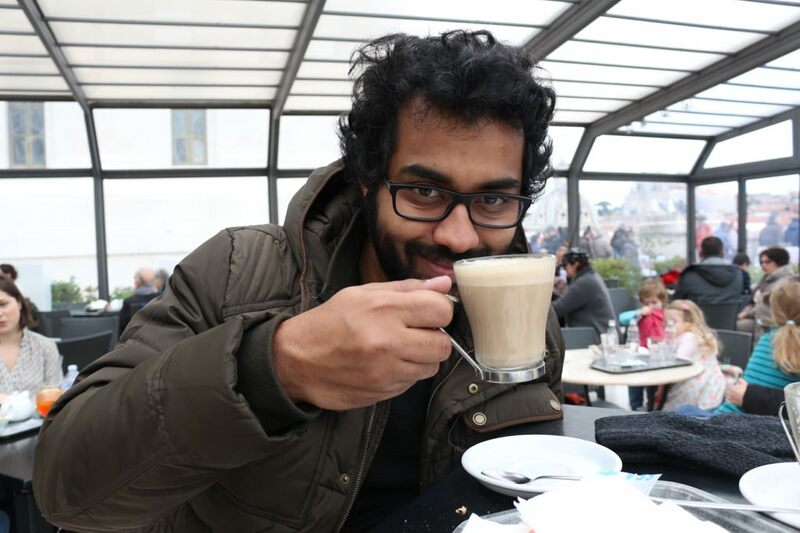 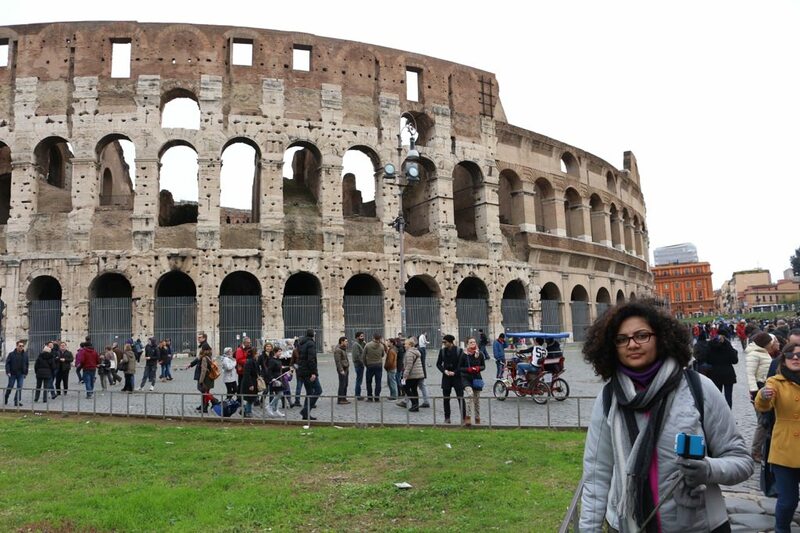 After spending amazing days in Venice, Shuchi and I reached Rome via train in last week of December. 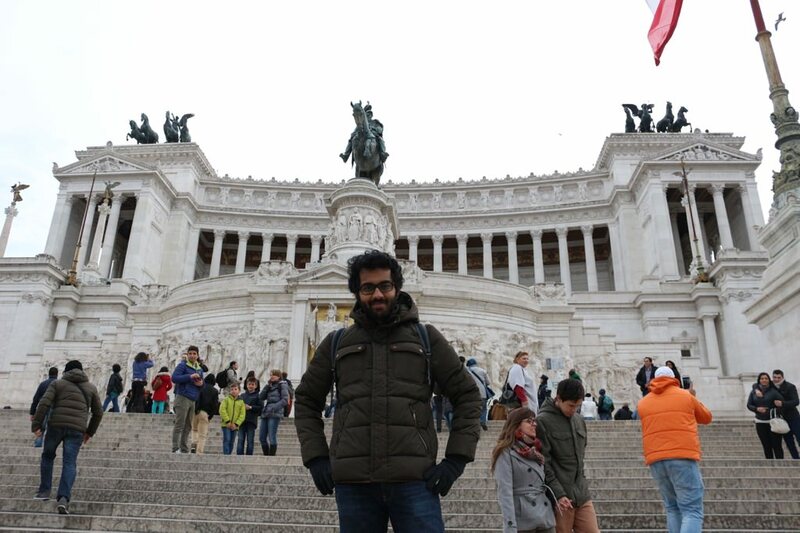 Roma Termini is a major railway station that is super busy. 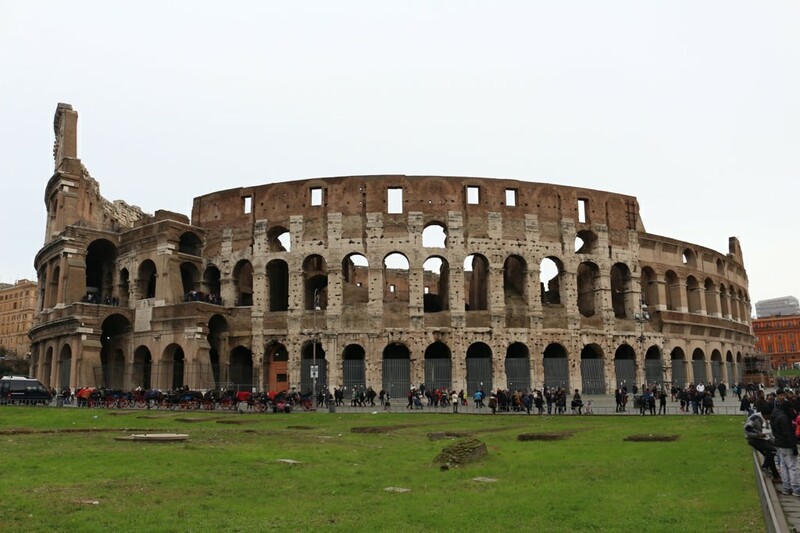 We stayed in a very small hotel at walking distance from Roma Termini, as most of the sightseeing places were closer to it. 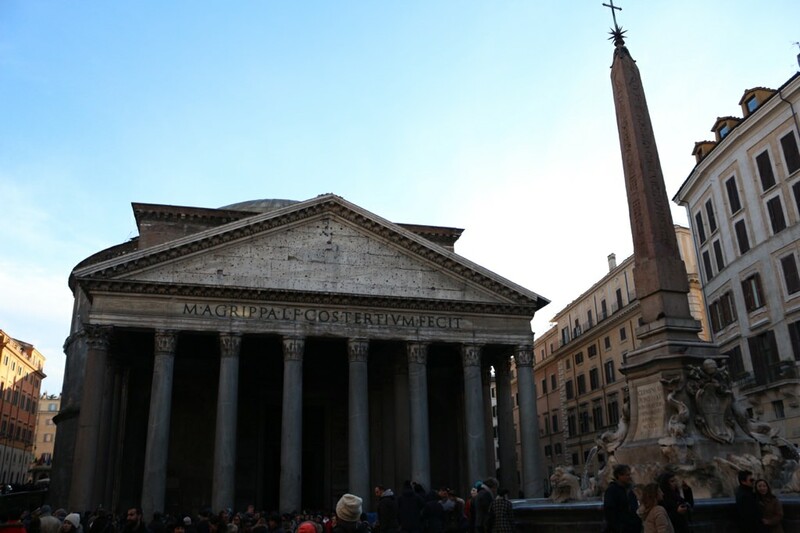 We relaxed the day we arrived and next morning started exploring Rome. 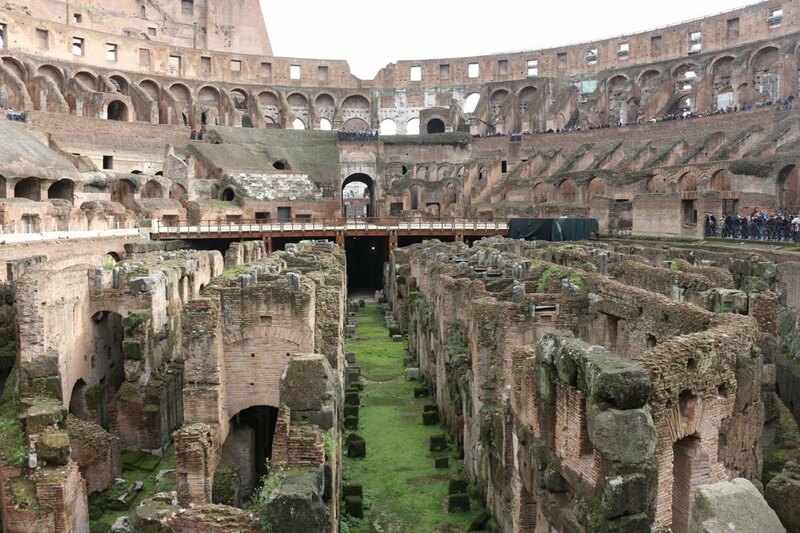 One of the iconic symbols of Imperial Rome is Roman Colosseum. 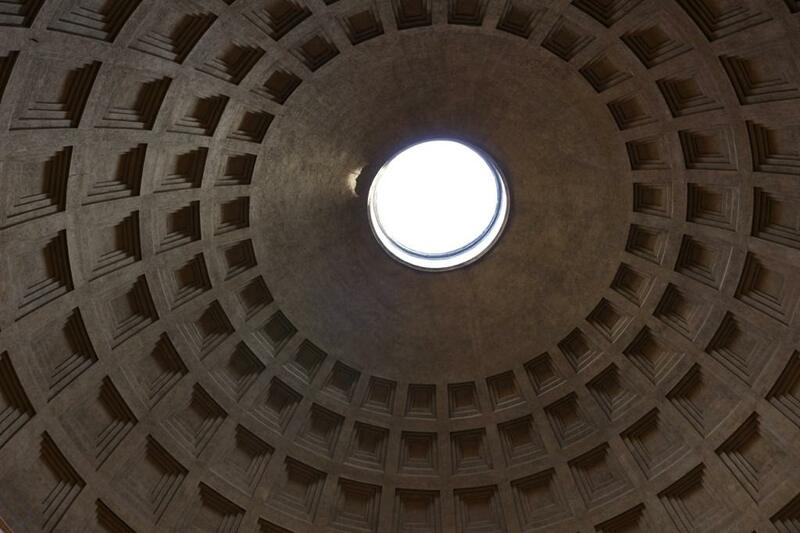 It’s an elliptical amphitheater in the center of Rome and is considered to be the greatest work of engineering and architecture of its time. 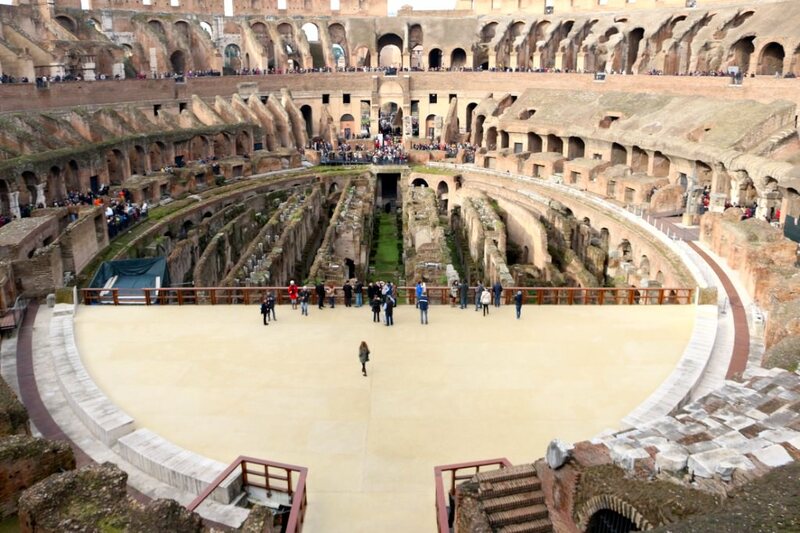 This was primarily used for gladiatorial contests or other public events like a mock battle, animal hunts or execution of prisoners. 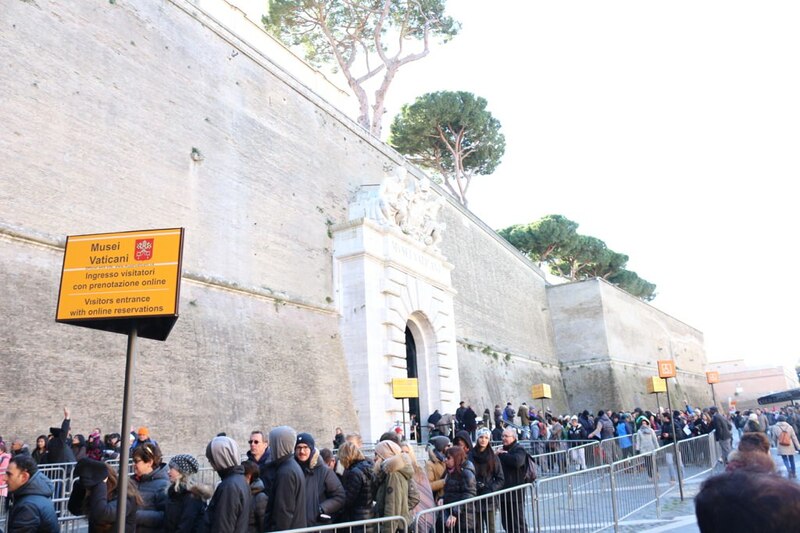 Make sure you buy your tickets in advance as queue here gets pretty long very fast. 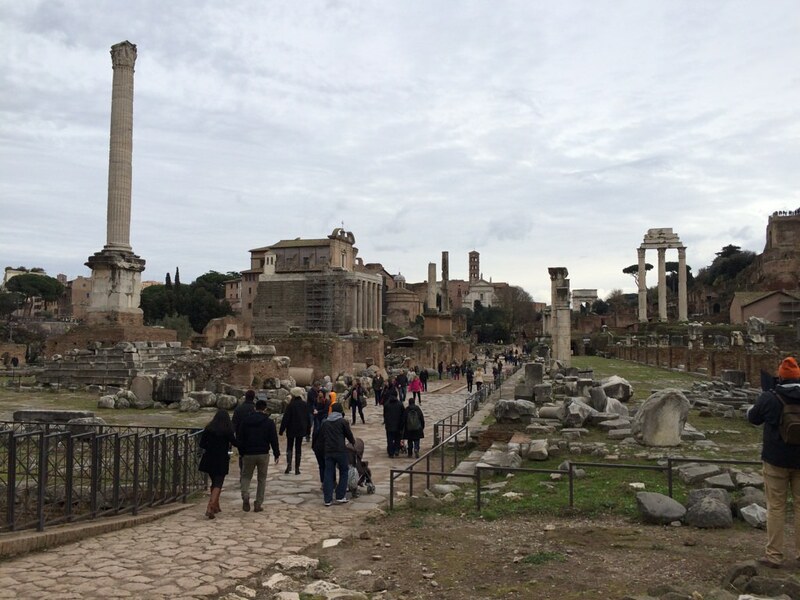 Next to Colosseum is the Roman Forum. 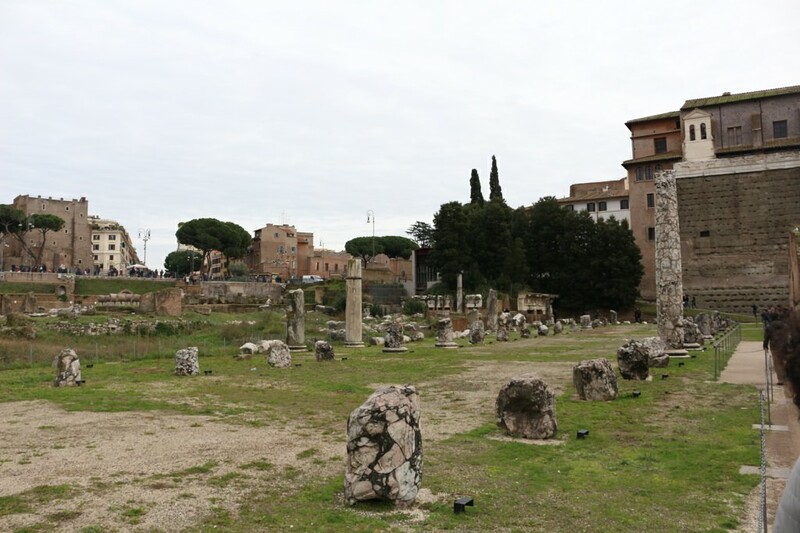 It is a rectangular plaza surrounded by ruins of several ancient government buildings. 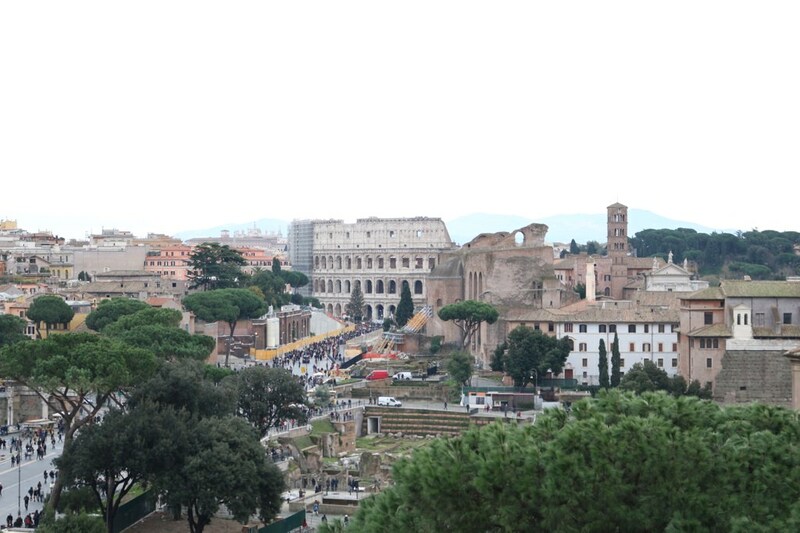 Ticket to Roman Forum is included in the ticket for Colosseum. 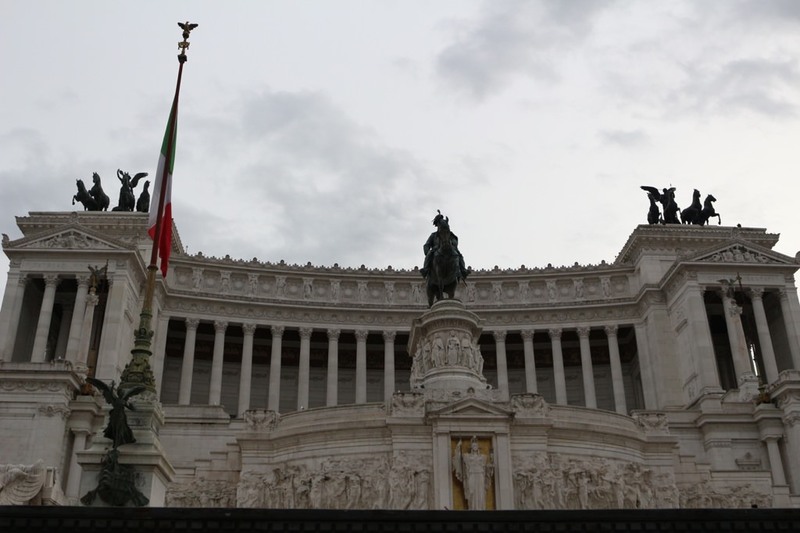 Altare della Patria or Altar of the Fatherland is a monument built in 1925 in the honor of Victor Emmanuel, the first king of unified Italy. 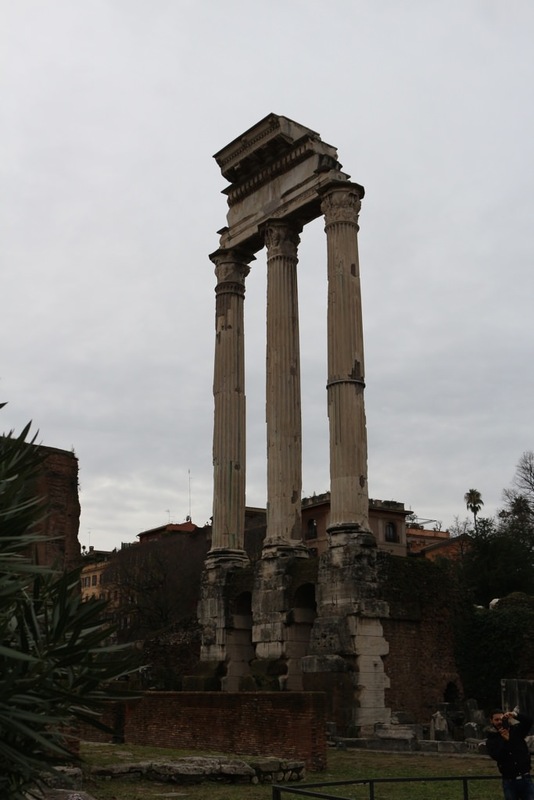 This massive monument is at the end of the Roman Forum if you are walking from Colosseum side. 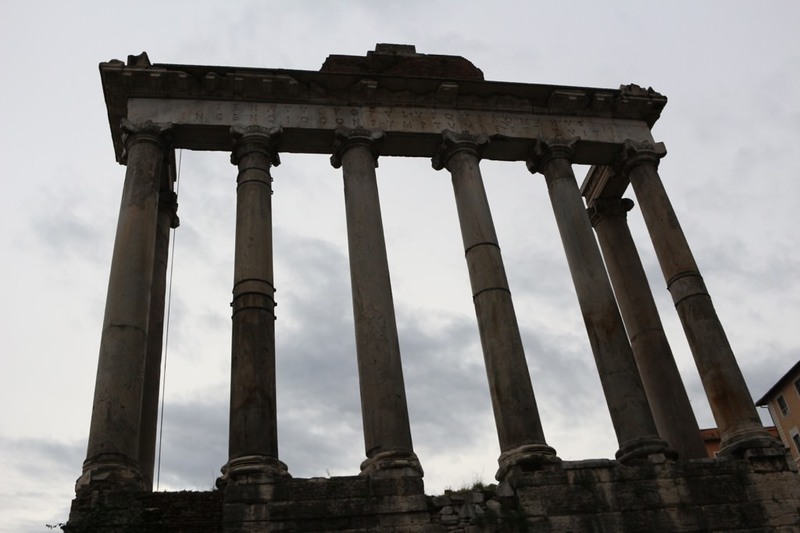 This structure raised a lot of controversies since it resembled more to Greek architecture rather than Roman and a large area of Capitoline Hill was destroyed for its construction. 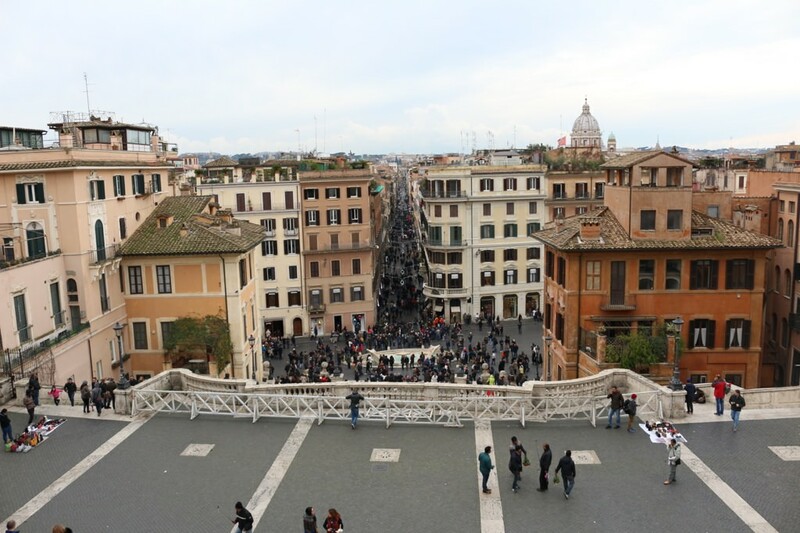 These are a set of 135 steps climbing the steep slope between Piazza Di Spagna and Piazza Trinita dei Monti. 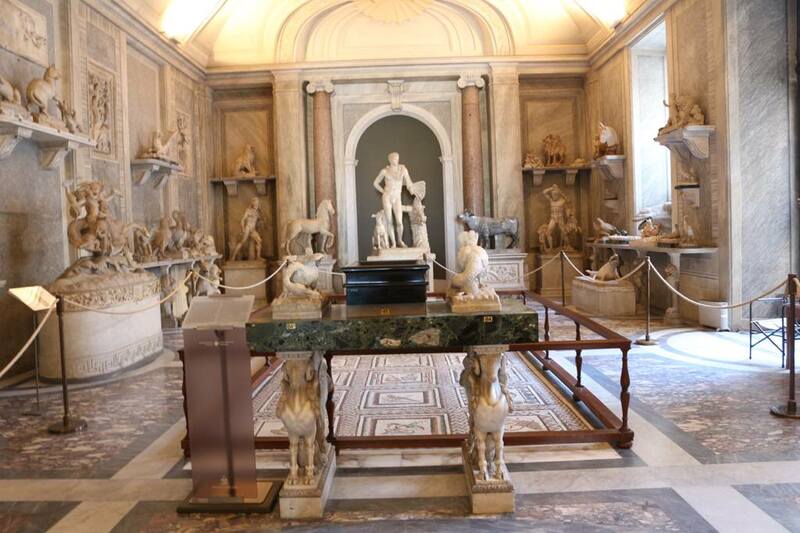 At the lower end of the stairs, there is an early baroque fountain Fontana della Barcaccia or "Fountain of the old boat". 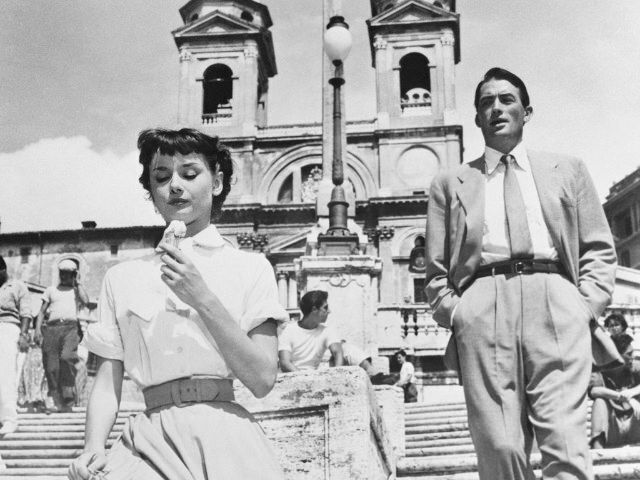 This place is famous among tourists because a scene from 1953 movie Roman Holiday was shot here starting Audrey Hepburn and Gregory Peck. 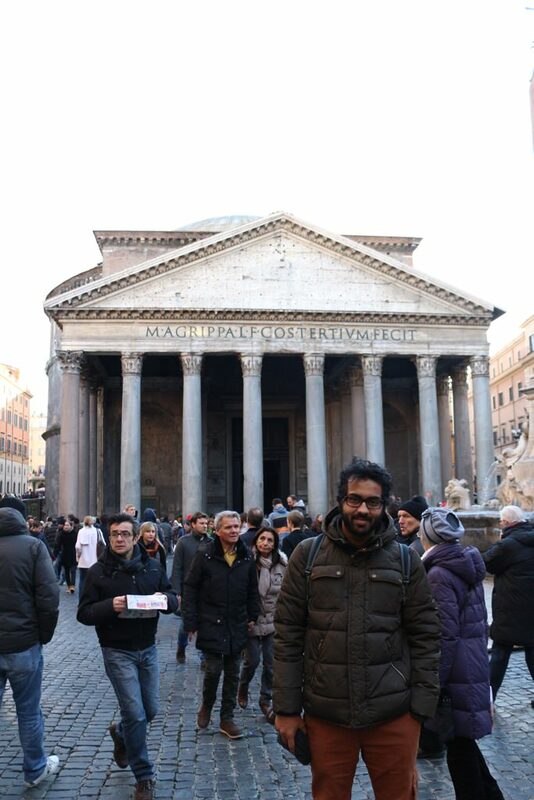 After a short walk from Spanish steps, we reached Pantheon. 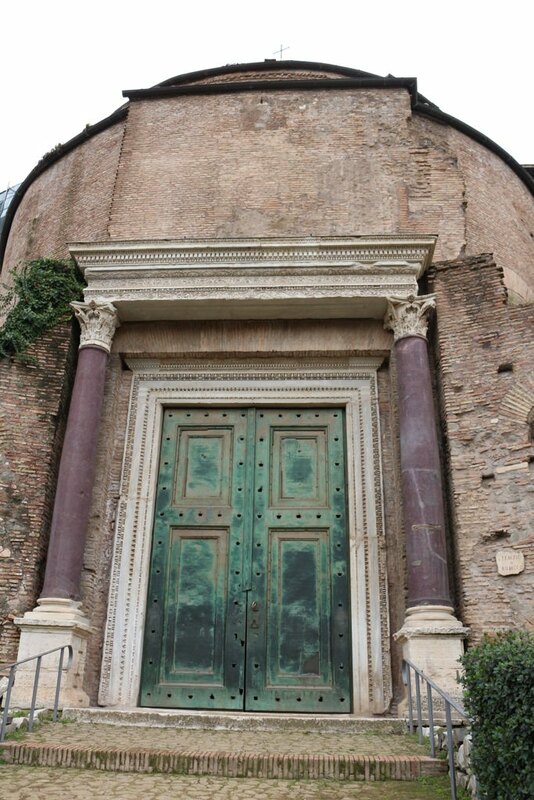 It wa one of the most revered buildings in the ancient Rome. 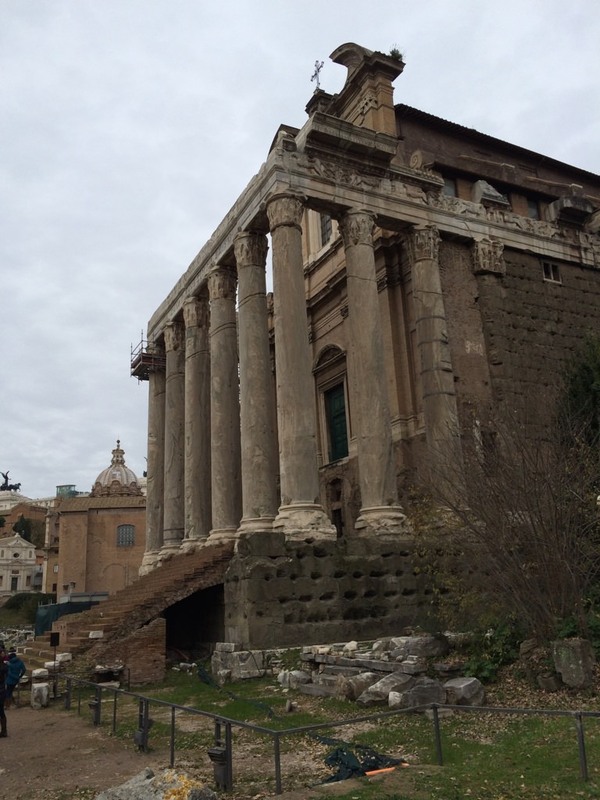 It's a Roman Temple dedicated to all the Gods of pagan Rome. 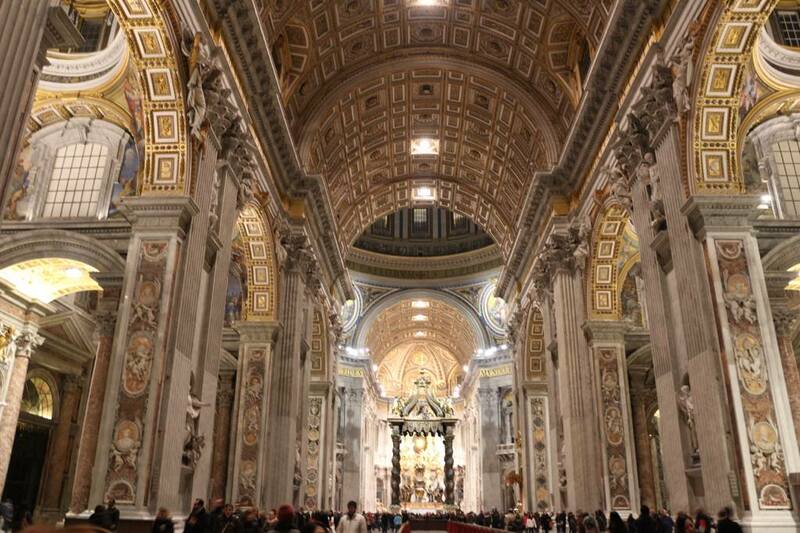 It is one of the best-preserved ancient Roman buildings that were built around 125 A.D.
Vatican City is an independent state that is the residence of the Pope, head of the worldwide Catholic Church. 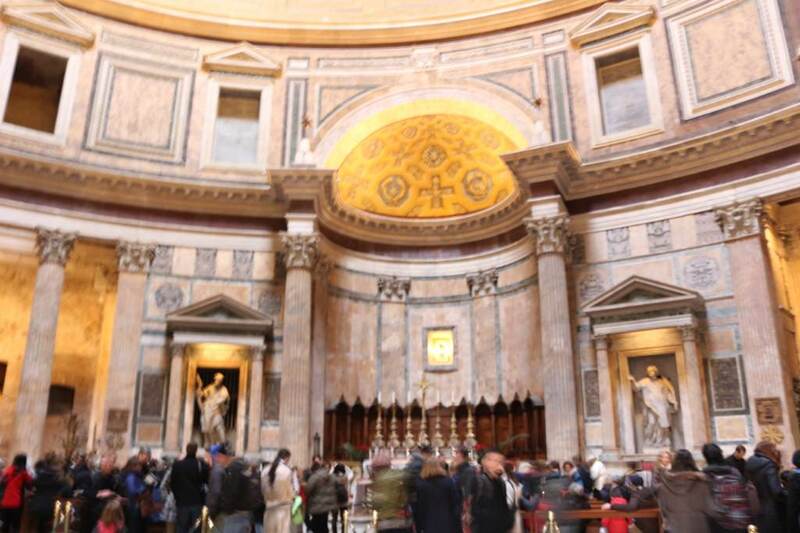 This place is around 30-minute train ride from Roma termini station. 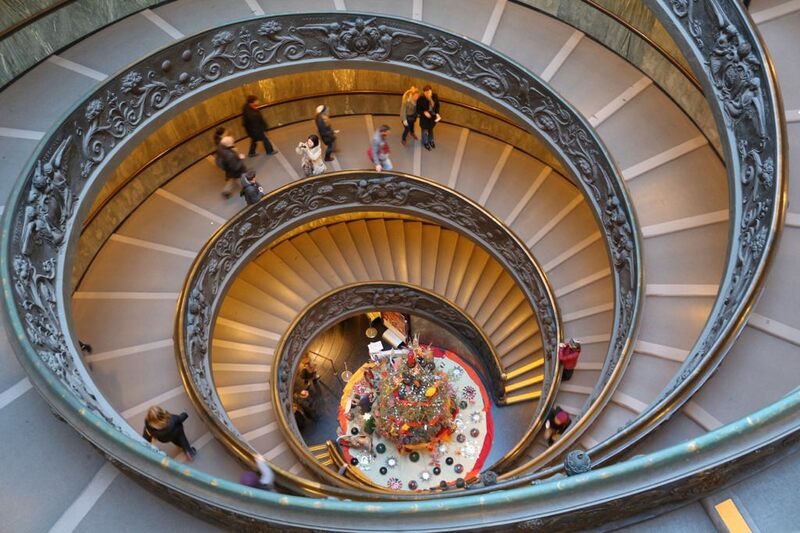 Make sure to buy Vatican museum ticket in advance, as this place is super busy. 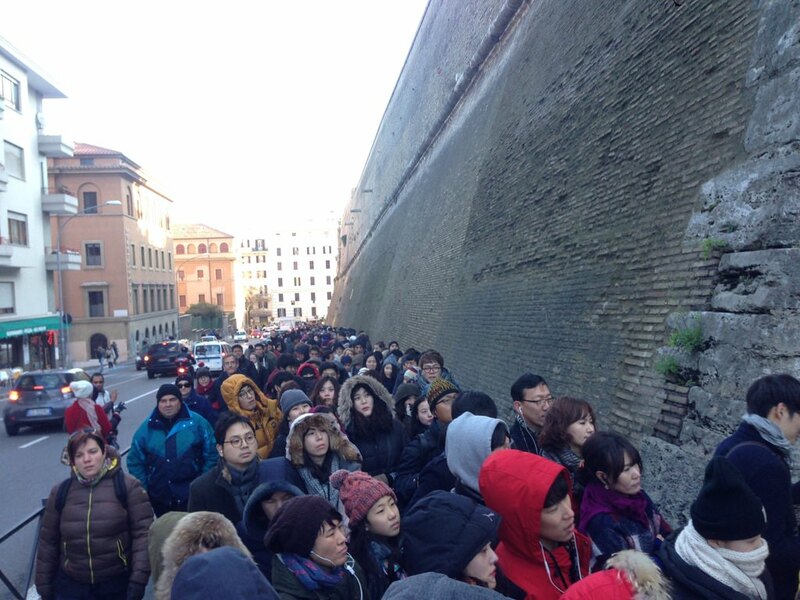 We didn't get the tickets online and had to stand in queue for 4 hours, which was insane. 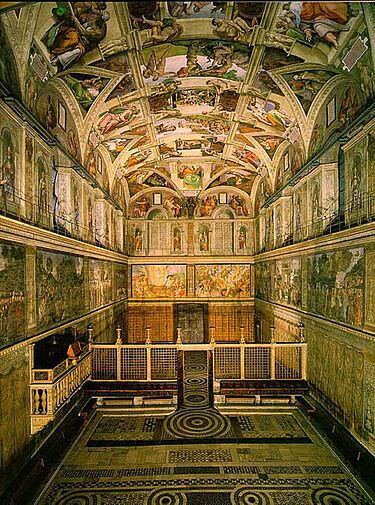 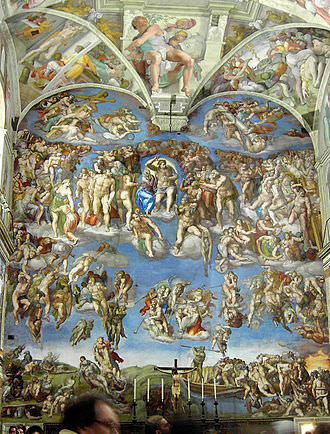 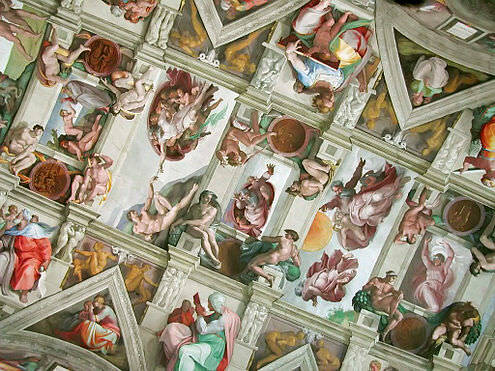 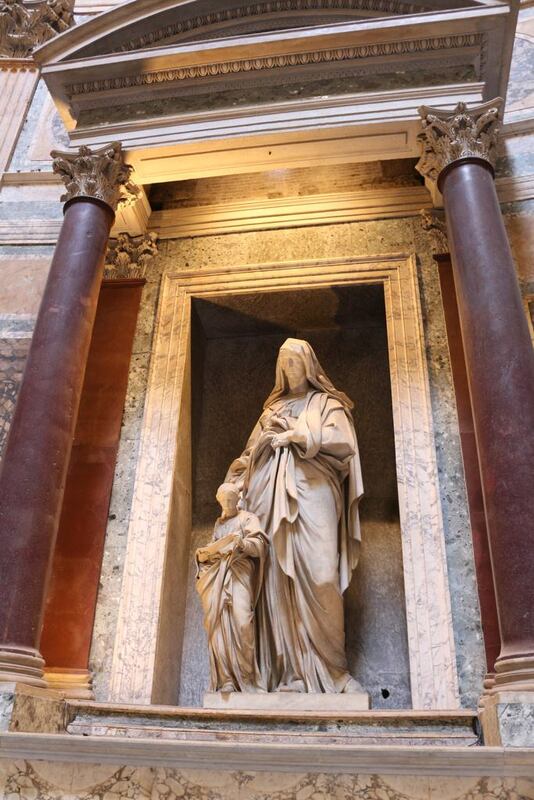 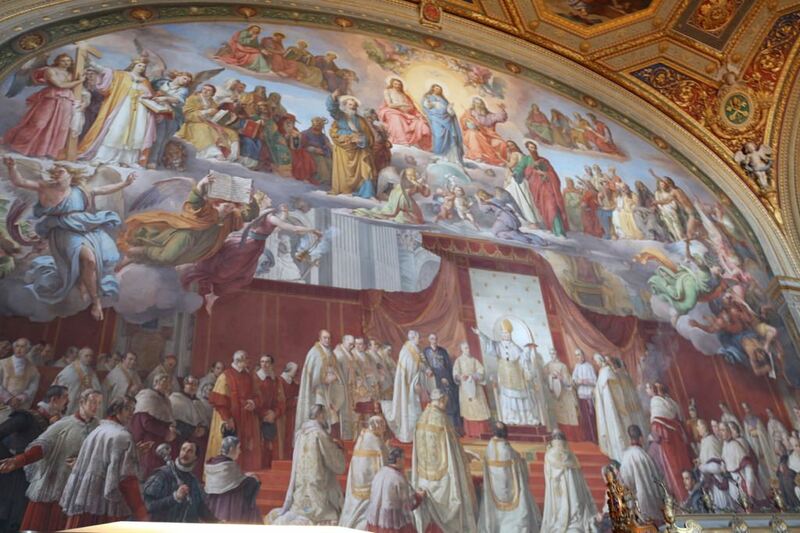 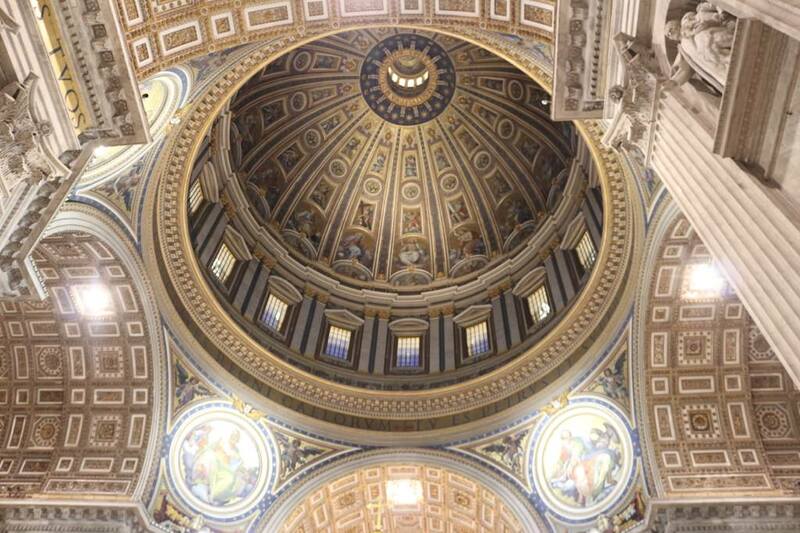 Vatican museum contains masterpieces of paintings, arts, and sculptures collected by popes through centuries. 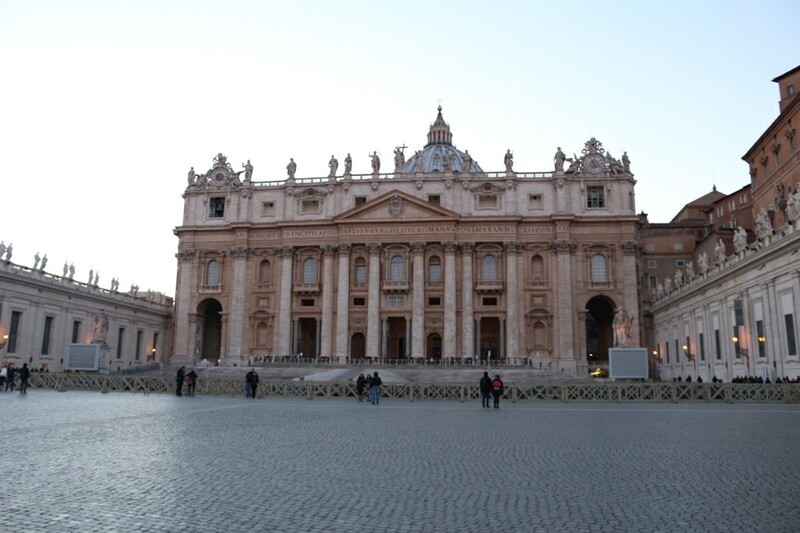 Just behind the Vatican Museum is St. Peter's Basilica. 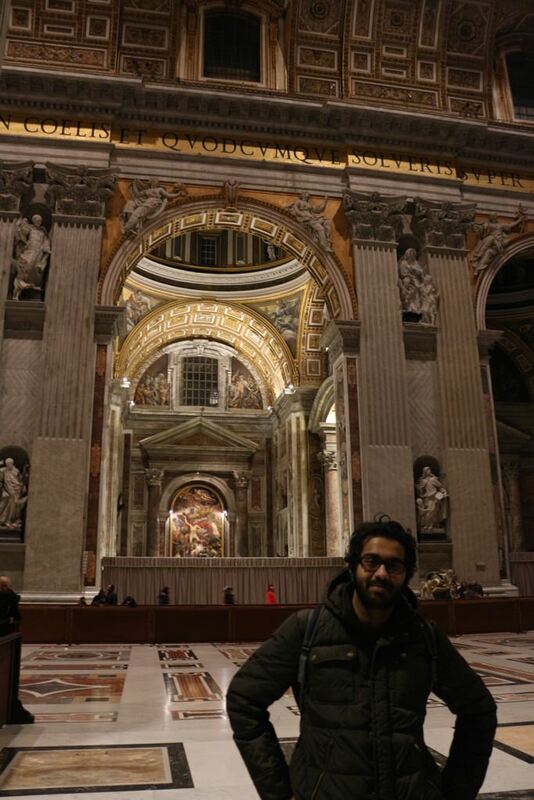 This place is the world's largest church and the center of Christianity. 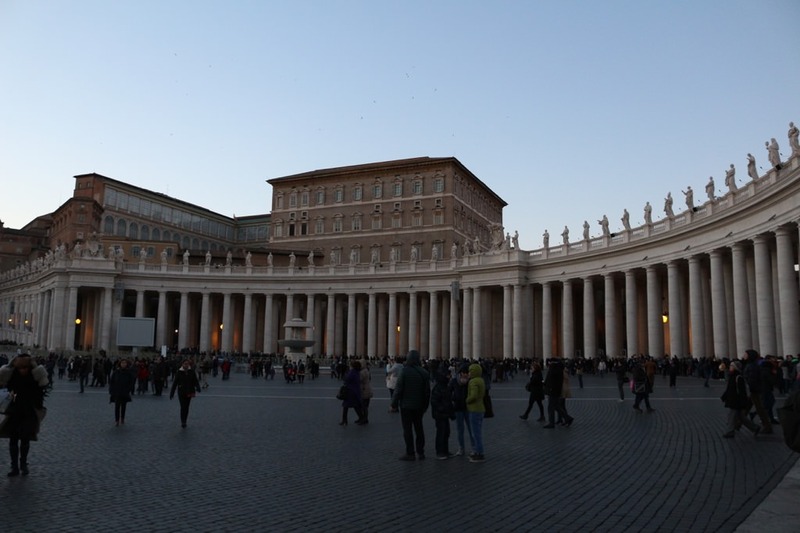 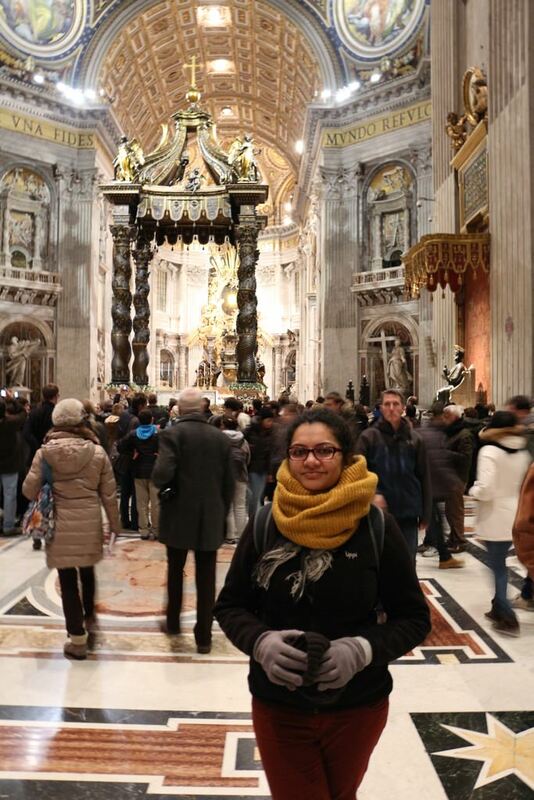 Visitors walk to basilica via St. Peter's Square, which is a grand elliptical plaza, sculpted with 140 statues of saints overlooking the plaza. 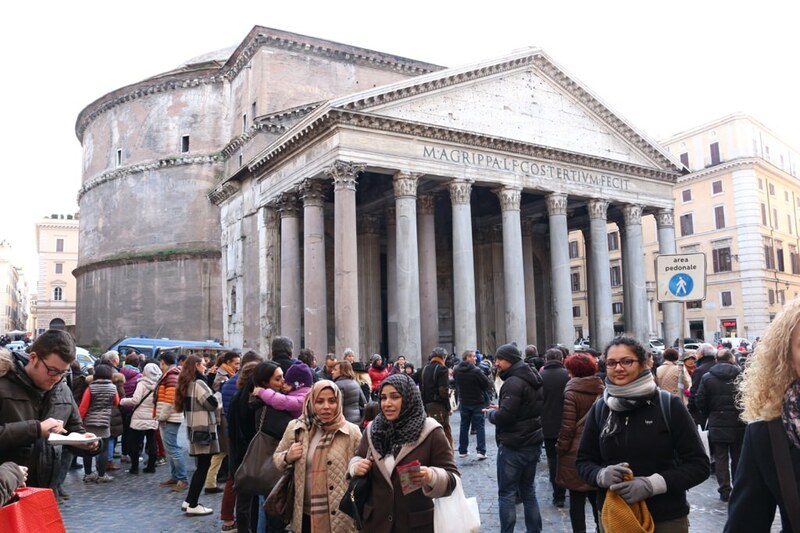 After spending around a week in Rome we realized that every street, nook and corner of Rome tells the story of mighty Roman Empire. 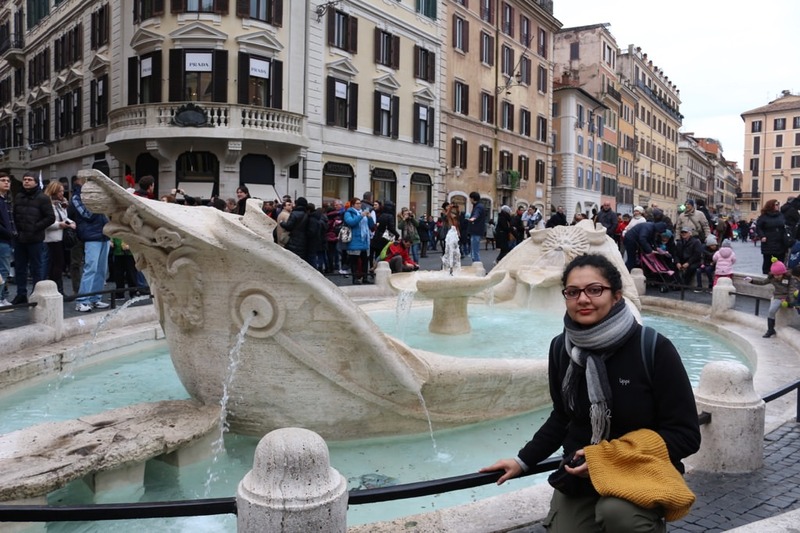 We loved our stay here and would love to come back again sometime in future. 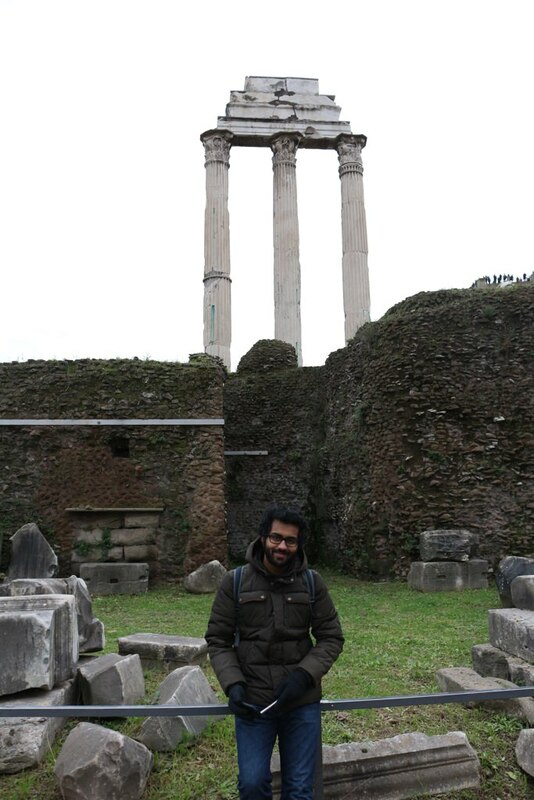 After learning about Roman Empire and architecture our next destination was Greece to explore ancient ruins of Athens.